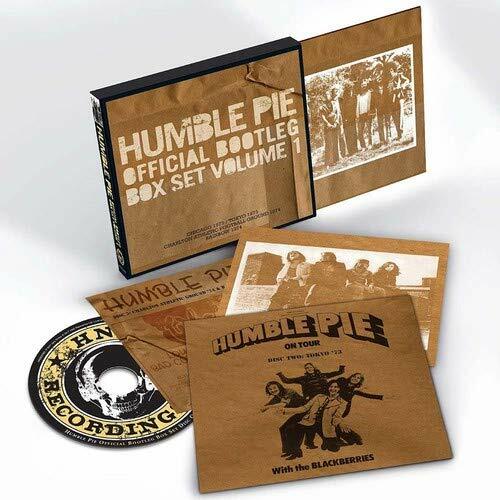 This selection of never legally released bootleg live versions of the 1970′ s supergroup concerts in Chicago 1972, Tokyo 1973 and Charlton Athletic Football Ground in 1974, housed in a gatefold sleeve. This is the first time that they even been officially and legitimately released with much improved audio, and with the input and consent from Humble Pie’ s Jerry Shirley. Some of the tracks taken from one of these gigs, the Charlton FC one from May 1974 when the Humble Pie, who were third on the bill that day,stole the honours from headliners The Who,and now 44 years later all who attended can relive that day again.